It’s been ten years since a mysterious, horrific incident in the South China Sea annihilated a US Navy destroyer and its Navy SEAL team. Only one man survived. Now, the US Navy is determined to put a stop to the new, frightening incidents taking place with alarming frequency. Enter SEAL Team 13, an elite group of soldiers led by sole survivor Harold “Hawk” Masters. Everyone on the team has survived contact with supernatural forces from “the other side.” Will their camaraderie and duty to country be enough to defeat the malevolent undead forces threatening the country? From world-building author Evan Currie, SEAL Team 13 is a dark, riveting, and action-packed tale of military intrigue and supernatural horror. 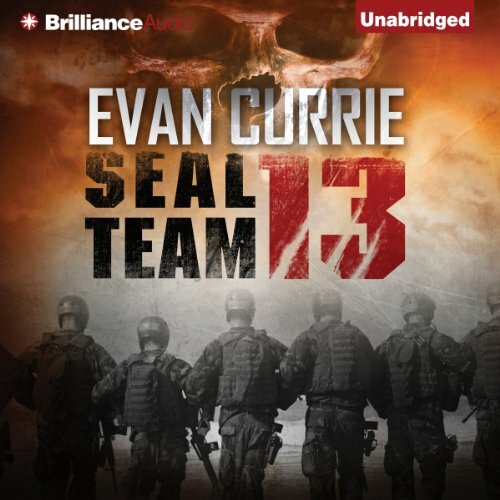 ©2013 Evan Currie; 2013 Brilliance Audio, Inc.
What made the experience of listening to SEAL Team 13 the most enjoyable? I LOVED SEAL Team 13 by Evan Currie. This led me to read all four of his Sci-Fi series. It also brought me to SEAL Team 666 & its sequel, Age of Blood; but I’m Jonesin' for the next SEAL Team 13 Novel! None of the rest does it for me like this Hit! Chock full of our .50 Caliber, Beowulf M4 wielding, ST 13 Favorites, taking the heads off of every Supernatural BG in sight per single trigger pull! This would make many of my friends and me big time buyers of SEAL Team 13 - Part 2! I'm already on my 3rd listen through! Can anyone tell me if a sequel is in the works? Being Dyslexic as a Philosophy & Pre-Med Major at U.C. Berkeley - Cal. And an MBA from Haas there as well, I had to push through 10-15 heavy books a week for 7 years. In order for me to ingest all that info properly enough to maintain a 3.72 GPA there all the way through Graduate School, I had to read each paragraph 3 times before moving on to the next. Audible lets me close my eyes and just listen to all of my favorite, and new favorite, books. It is, for me, like sitting 'round the Campfire, with the sky full of stars, while listening to my dearly departed Grandpa tell me each story. It is amazing! 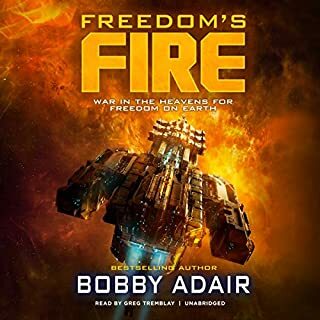 I did not pick up one solitary book to read since I Graduated in 1999, and now that I discovered Audiobooks in February of this year, I have enjoyed well over 50 Novels, with a huge amount to go. Thank You! I said early on that Evan Currie was going to get better with each book, and he hasn't disappointed me yet! Aside from the books he's turning out at a pretty steady pace, I really like a lot of things about the Author "personally" (I don't know him personally, I just know what I've SEEN that he's DONE)... He doesn't just 'write about' "Perseverance" and "Courage" and the usual things; He displays those qualities himself! The First book I read by Currie was "Into The Black", which he'd originally Self-Published. As I said while reviewing that book, "Some people have a story inside them that they believe will connect with readers, if only they can get that story in front of the intended audience. For a new author, getting a book published the traditional way is very often a lesson in 'Why you can't', punctuated by stumbling blocks that seem almost designed to say 'give it up, you don't believe in it enough'". It takes a LOT of Perseverance, Courage, and belief in YOURSELF and your own abilities, to 'push on through' when 'the experts' are telling you, "you can't". I LOVE seeing people turn 'You Can't' into 'THEY DID!' That's the same mix of qualities that you HAVE to have to go far in the Military, "Push On Through! ", which is one of the things that shines through in Currie's Military Sci-Fi Books! Currie kinda "Slips the new stuff in on you" WITHOUT screaming "This is NEW STUFF that *I* thought up" the way many authors do... Nope, he just slips something in, and you don't even realize it doesn't exist... It may be the cool way he has of not trying to "Teach you how to build one yourself", instead he just writes about it like, "Yawn... this is common as dirt, EVERYBODY has one" as the character whips it out and uses it... 5 minutes LATER, your brain catches up and you think, "A WHAT? Wait a Minute...."
I also liked the Narration by Todd Haberkorn a LOT more! The "Odyssey One" Series, was a bit hard to listen to at first, and I kept thinking "But the writing seems to be good, maybe it's the Narration that's pulling the experience down for me".. Then in the last book of that series, the Narration switched to David deVries, and the book came alive! 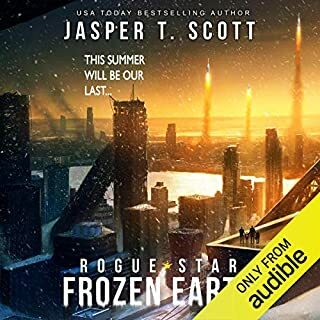 Usually swapping Narrators in the middle of a series is a recipe for disaster from fans, but I noticed his book ratings suddenly seemed to go WAY up, and *I* thought it was a great choice (not that what *I* think means much, until it's time to pay the bills ;)! So I think Mr. Haberkorn is going to the same amazing job of Narration, and "bringing the Characters to life", as deVries brought to the Odyssey One Series! I mean, there HAS to be another book here! Currie closed the book down, but he left the story line wide open for MORE! ...And OF COURSE, "I want MORE"! What did you love best about SEAL Team 13? This is not your typical SEAL story. There is no training to prepare for this kind of mission. All those stories about the evil things that they go bump in the night---they are true. The gov doesn't want to believe it but with the incidences becoming more frequent they had to do something. This is where TEAM 13 cbomes in. If you like horror, action this one will sure do it for you. "Horror, A Start of a Series"
I finished as I purchased on sale! I did not see the single word HORROR when I did a quick read of the story summery. This is right out of a 70's TV script! If romance is for chicks, then this was definitely for those who like zombies books. Frankly, it was not bad as a Karen Slaughter terror book, which I too purchased by mistake. This was not gory which is why I could finish. It was inventive. 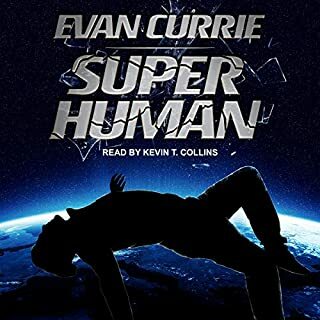 If you’ve listened to books by Evan Currie before, how does this one compare? This was a mistake buy so absolutely not again for me. However, this was a good start to a series if author can continue his inventiveness. Todd is the reason I purchased this book. He is such a talented reader, see his work A.K.A MacLoud Andrews. I have made other book mistakes as I buy for the reader and not just for an author. Boy, I have learned NOT to buy a book from my mobile screen. The summery seemed Ok, but of course I missed a key word "horror" on the small screen. Playing back seat editor is rude. These authors work their hearts' out. This author could write movie scripts of this nature and do very well. His vocabulary for the Seal's seem spot on. I loved it when the 2 Seals lift the captain up under the arm pits to run. I don't know if there is a #2 book, but I could see the team evolving and adding members very easily. Just keep the gore down to this level and you have a winner. Evan Currie writes some good Si Fi, this ain't it! This is just Zombie Puke! Don't waste your time or money! I like the other books that are written by this author but this one just missed the mark. 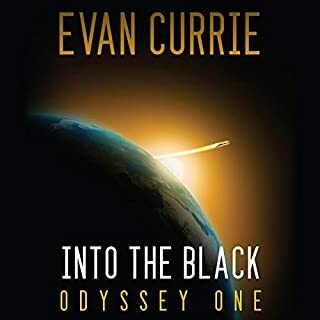 The thing about author Evan Currie is that you have to expect a writing style that is very much like a B-movie, comic, or video game; if you try to take it seriously or over analyze the plot/characters, you're going to end up hating the book. Because what we have is an author who takes typical B-movie subgenres such as horror or sci fi and writes an unabashedly pulpy book full of macho men and feminine women relying on those guys. If you don't buy into the premise, it won't make an enjoyable read and you'll end up hating the cliches/homages. If you enjoy an old fashioned 1950s type of comic/B-movie, this is the book for you. Story: a small town in Alaska is experiencing a supernatural problem sounding suspiciously like vampires and zombies. 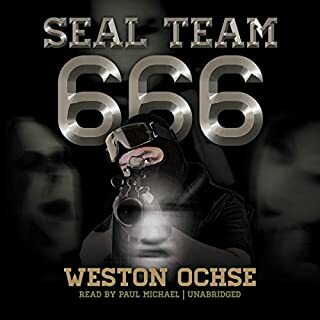 When a Seal team and supernatural expert are brought in to deal with the situation, they find more than they bargained for - and have to fight for their lives to get out. As with other Currie pieces such as the Odyssey One series, expect an ensemble cast, not all of whom will survive. We always get everyone's perspective - from the vampire queen to the zombies, to people about to die and the veterans/heroes/heroines. I've read enough of Curries books to see that what we have are screenplays made out into full length books. I won't always say that the transition from movie format into novel format is successful; I'm sure it looks good in his brain but it is always iffy that it can be translated efficiently. But keeping that perspective in my head and enjoying Currie's books as movies makes the stories a lot more palatable. I'm reminded that while we see the Alien's perspective in the movie Alien, that doesn't mean I want to READ what it was thinking in a book. That, to me, is what always lets me down with Currie's books - as with Seal Team 13, we are given the fairly unneeded perspective/thoughts of the vampire progenitor (somehow, the bad guys always sound kind of one-dimensional and stupid). Similarly, we have the alien Drasen perspective in the Odyssey One series and it comes off as kind of silly there too. It can be very 'mustache twirling evil villain' at times. SEAL Team 13 does for horror was Star Trek does for sci fi. Makes it a fun thing without all the chilling horror or mind numbing science; more of an adventure than an cryptic examination of the future or seat-of-your-pants terror fest. The title does sound like we're dealing with hard horror; so definitely don't expect that in this book. And although this is more adventure than horror, there is plenty of the grisly in there. But at the same time, Currie does put thought into his world building and you get sucked in somewhere in the middle of the story. E.g., I had to think twice about the realization that if you have an undead, cold, vampire or zombie, they will freeze solid in Winter in Alaska (a 'vampsickle'). It makes sense and brings up the realization of careful thought and sly humor hidden in the story. 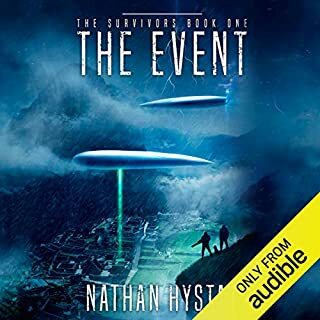 I listened to the Audible version and thought the narrator did an decent job. I didn't particularly like the story but that was more of a personal preference since I'm not a big horror junkie (I'll stick to the sci fi). Currie does a great job with reimagining the vampire/zombie lore and giving a big picture to the menace; yet somehow this does feel more like a young adult novel for older teens than for adults. More of a fun, harmless, video game/comic/movie than a serious novel. But that's Currie's style (and appeal). It's a good story and a nice twist on the vampire story. There is plenty of scope in Evan's world for more and I will be interested to see what he comes up with next. The thermite grenade in the coffin. Funny! Made me laugh more than cry. A great story but the characters don't quite get to the point of 'friends', so that connection isn't there...yet! A great read, well narrated. You won't be disappointed. Great ! When's the next book!